The ADL (Alpha Design Labs) GT40 Alpha phono preamplifier is designed for audiophiles who like to store their music on their computer's hard drive. 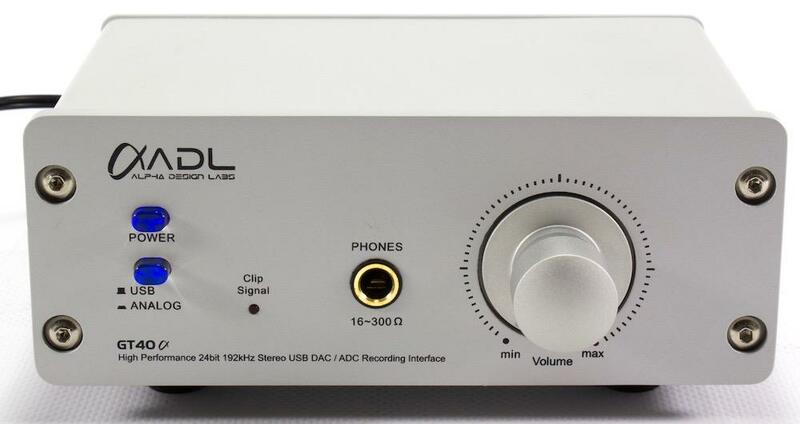 It is a reasonably-priced high-performance 24 bit/192 kHz converter that converts LPs or other analogue sources to digital. It guarantees optimum sonic quality for each archived album. ADL/Furutech's GT40 Alpha comes in a non-magnetic audiophile grade housing. The back panel features rocker switches to ward off any distortion during recording (0 dB, 6 dB or 12 dB). It offers the same basic features as its ancestor, the famous GT40. Also, it manages a 24 bit/192 kHz USB asynchronous input and output. 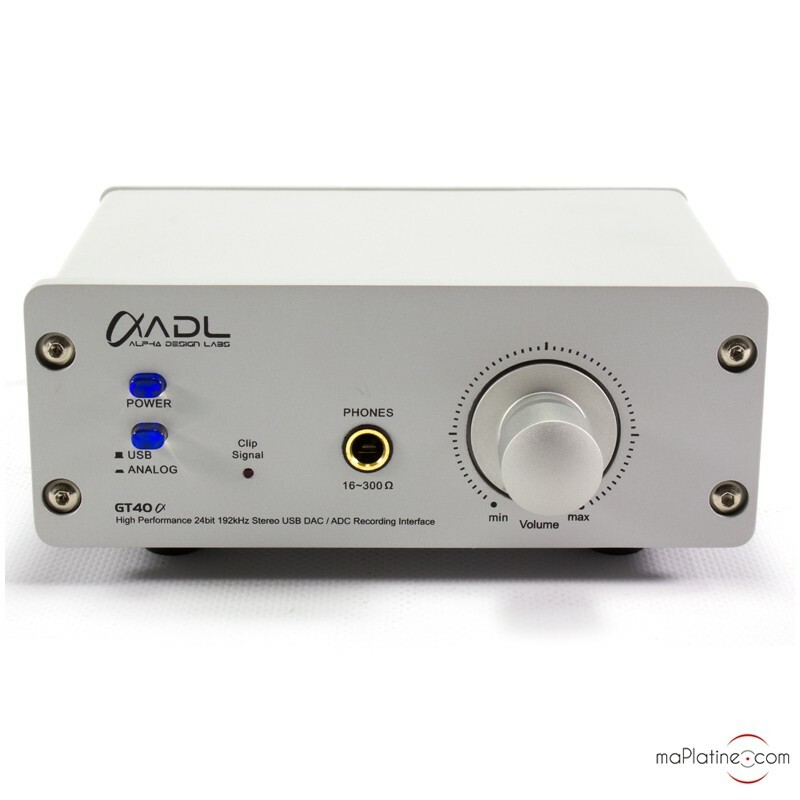 It features a 24/192 compatible DAC and ADC contrary to the GT40 that is limited to 24/96 kHz. The frequency response is significantly wider, more than 20 Hz in the bass and 5 kHz. Noteworthy fact: le 'line' output level is higher than on the GT40, which allows for active speakers or a power unit to be driven more easily. The headphone section has been improved with an increased current capacitance that allows for a better control of low impedance headphones. For the rest, the same principles apply, chassis, connectors, etc. 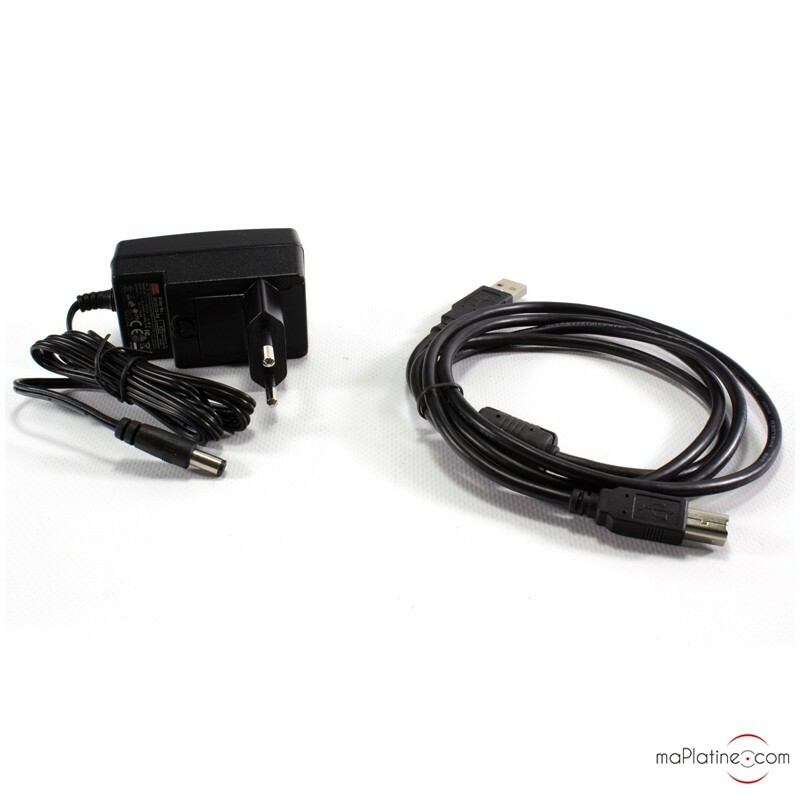 This ADL GT 40 Alpha comprises an asynchronous low latency USB output that plays and records in 24bit/192 kHz format. 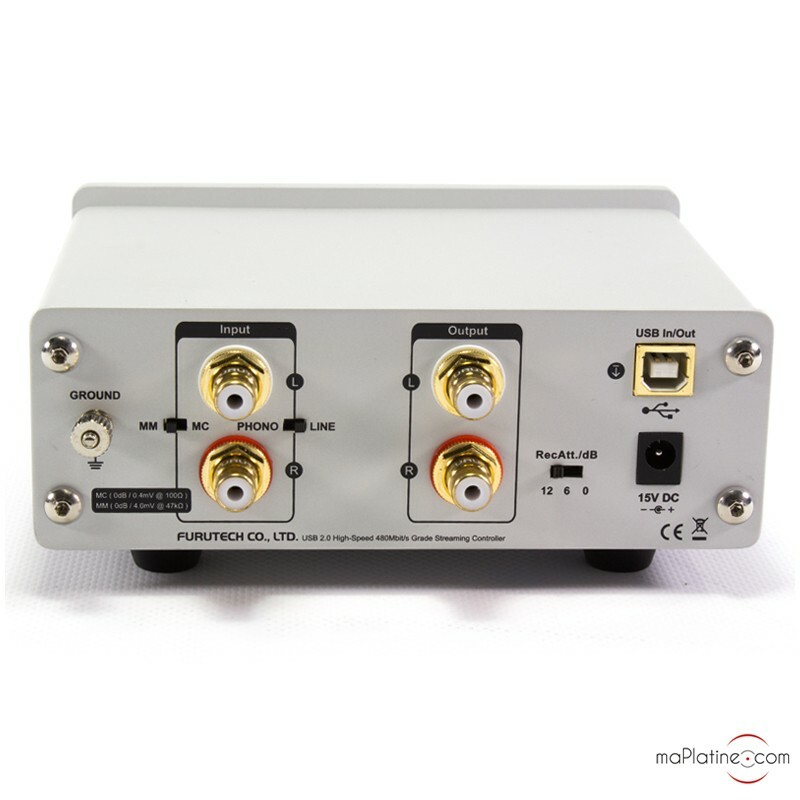 It includes a low noise MM/MC phono stage. 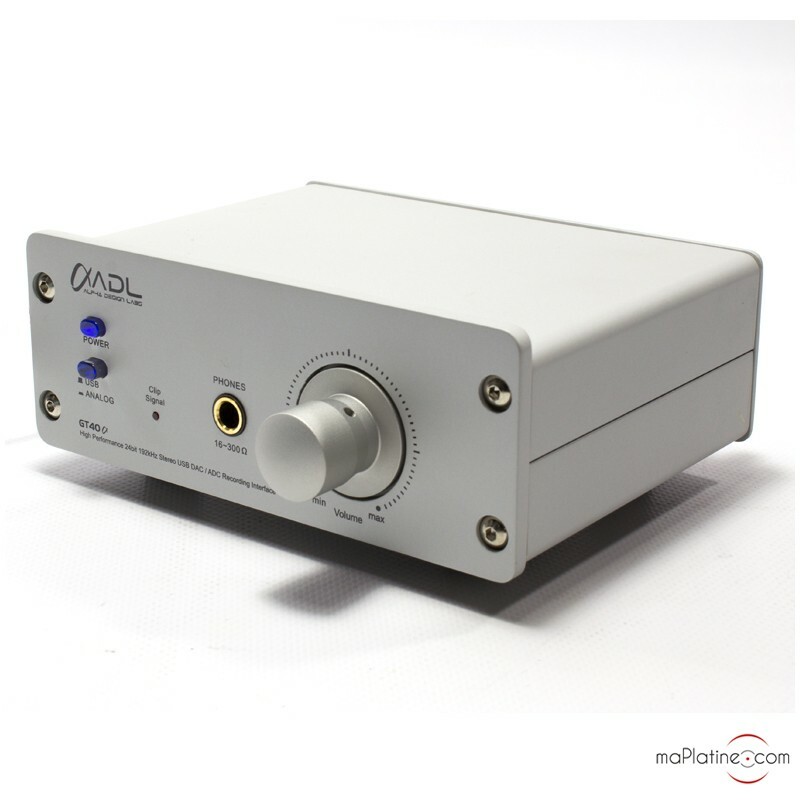 Its DAC comprises L/R analogue outputs and a switchable line or phono input. The sonics with the headphones are great and are on a par with the top products on the market. We tried it with three different sets of headphones (ranging from €150 to 2,000) and every time this ADL GT40 Alpha phono preamp passed with flying colours! The music is smooth and very precise, irrespective of the source, but it is an obvious step-up thanks to the high resolution Master files. The digital conversion of records is amazing and, above all, this GT40 is compatible with high output sources featuring MC cartridges, that few USB phono preamplifiers have, and especially with this level of quality! The sound quality is vibrant and highly musical. Setup and operation are child's play. In a word, this ADL GT 40 Alpha can do everything, and remarkably well at that! A unique and unrivalled product whose performance is on par with professional products. headphone output: 94 mW (16 ohm), 110 mW (32 ohm), 98.6 mW (56 ohm), 23 mW (300 ohm) Max.